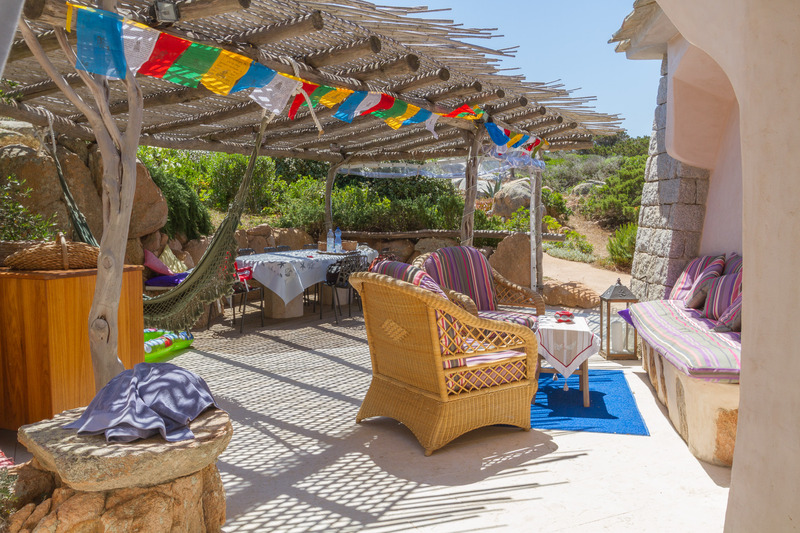 Villa Melissa was designed by the famous architect Savin Couelle and sits in perfect harmony with its setting. 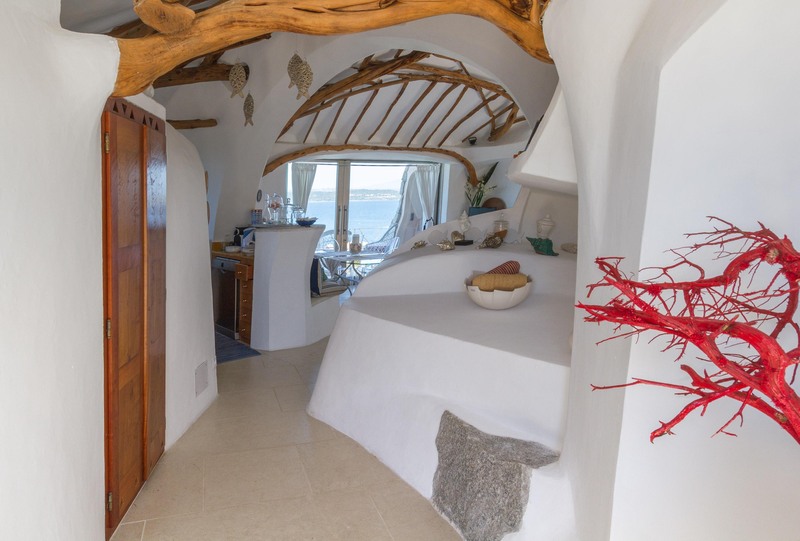 Taking inspiration from the surrounding landscape of Mediterranean vegetation and rocks, Couelle has successfully managed to bring the outside in and take the inside out. 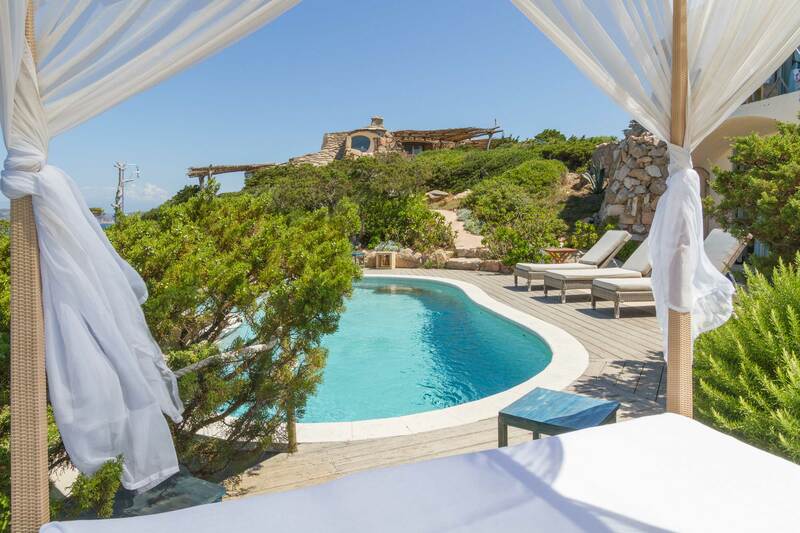 From its elevated position, the villa has been designed to take advantage of the spectacular views of the nearby Grecò bay, with its sweeping white sandy beach and crystal clear waters. 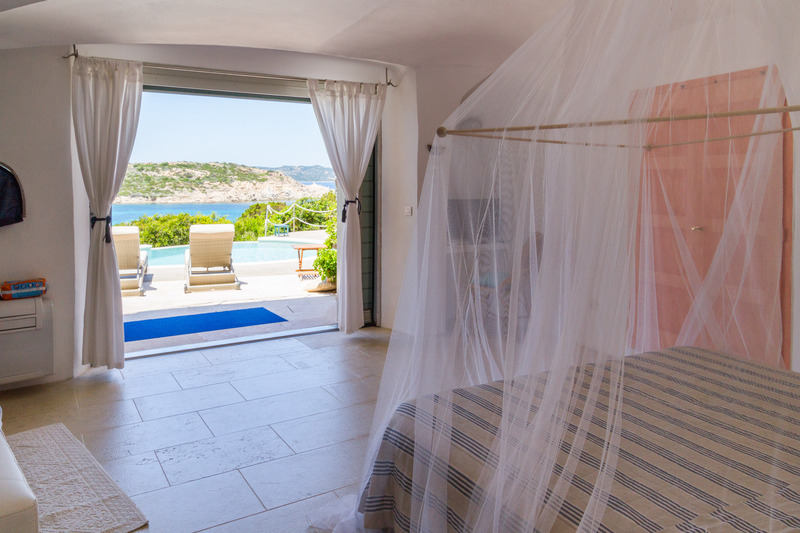 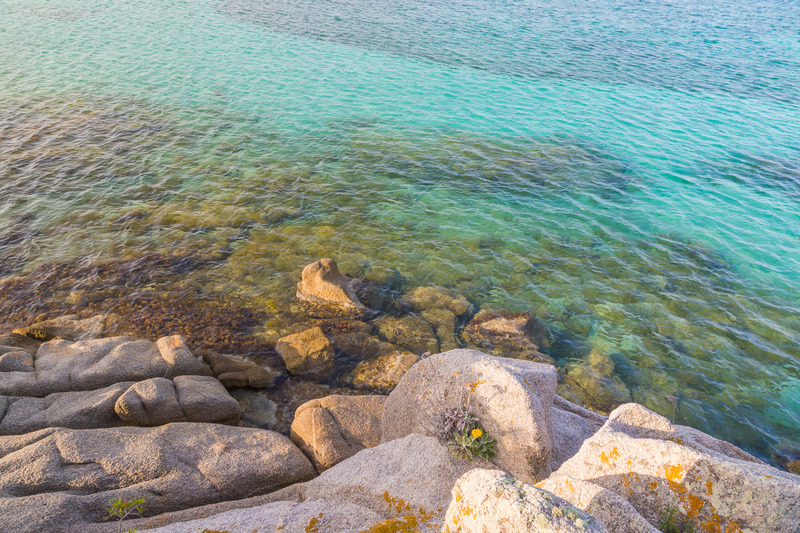 The bay can be accessed via a private walkway from the villa. 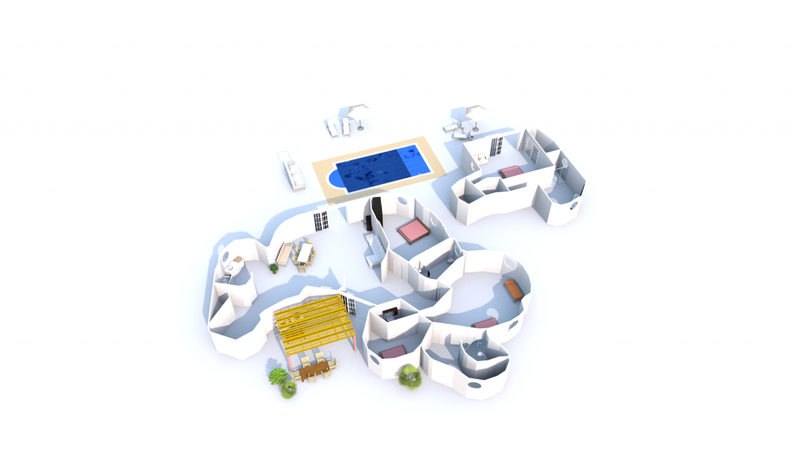 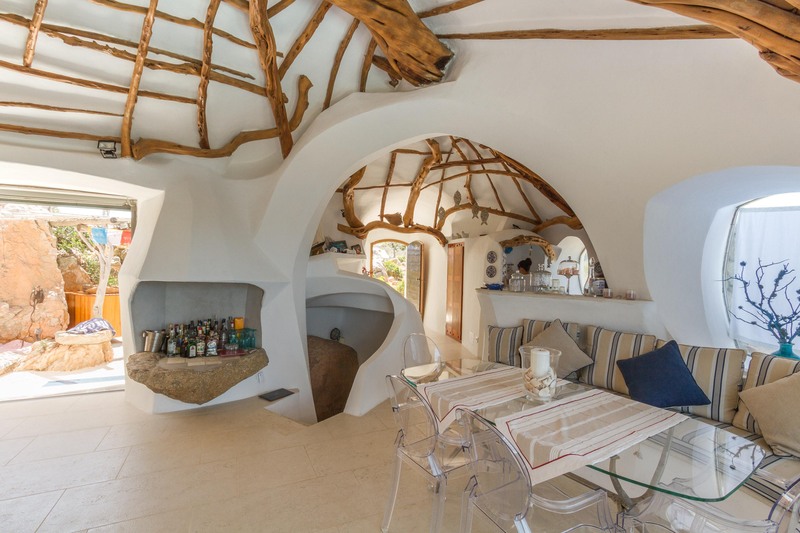 The overall soft and fluid feel of the villa has been achieved with the use of curved arches, rounded feature windows and natural materials without any harsh angular lines. 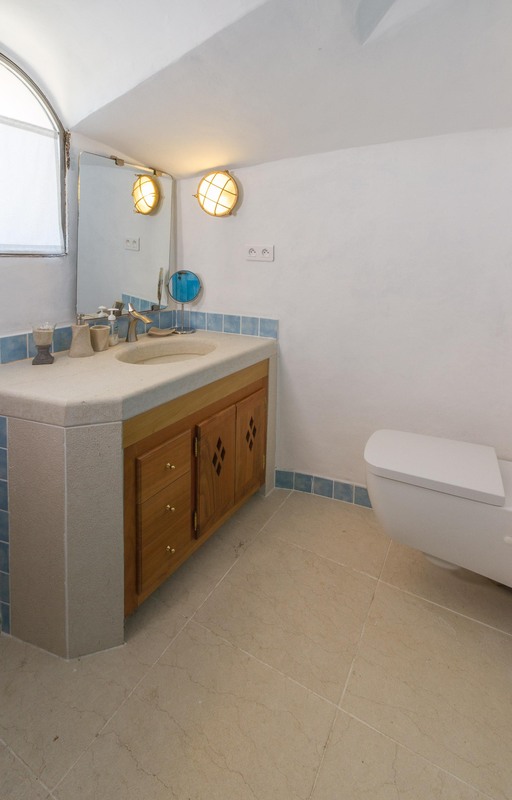 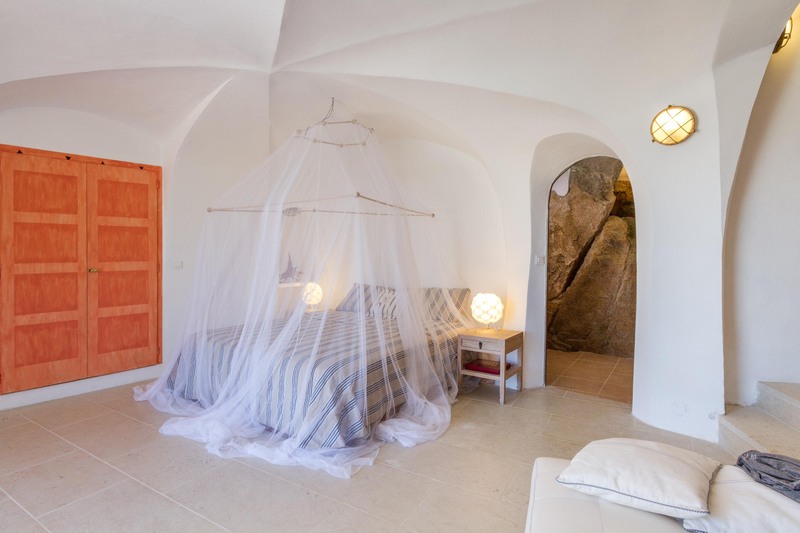 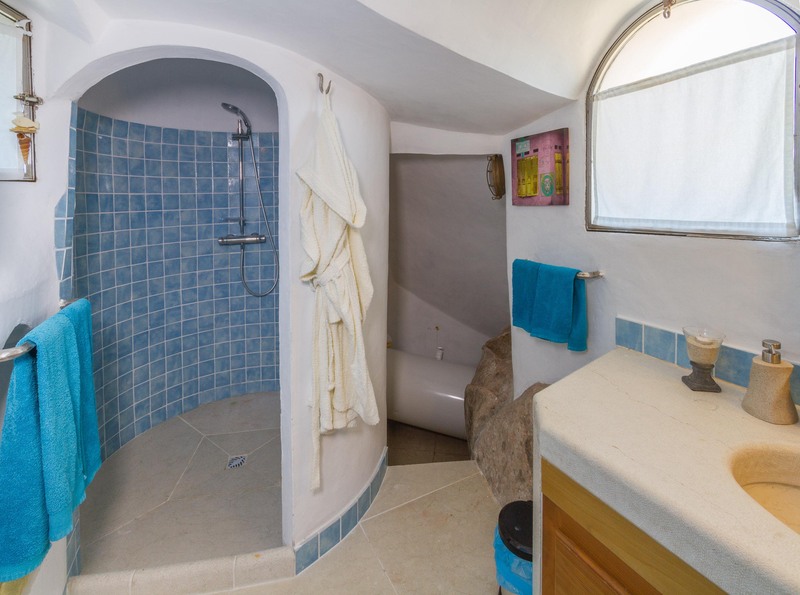 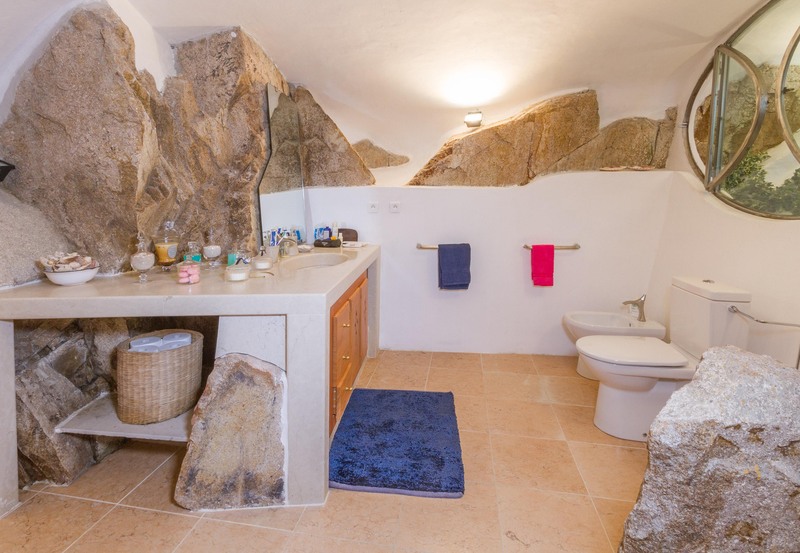 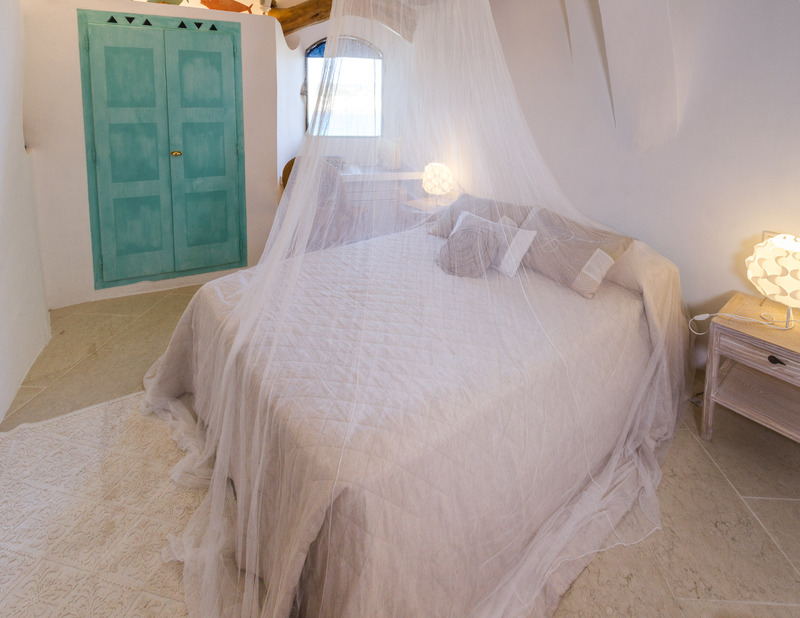 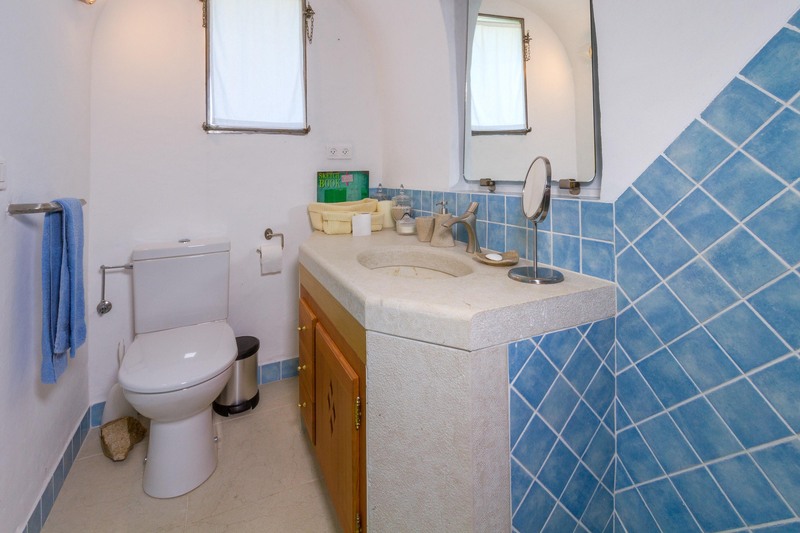 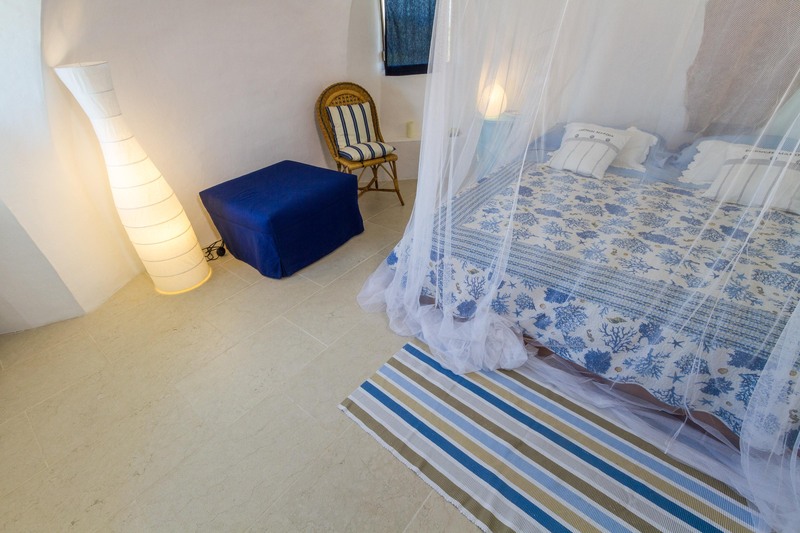 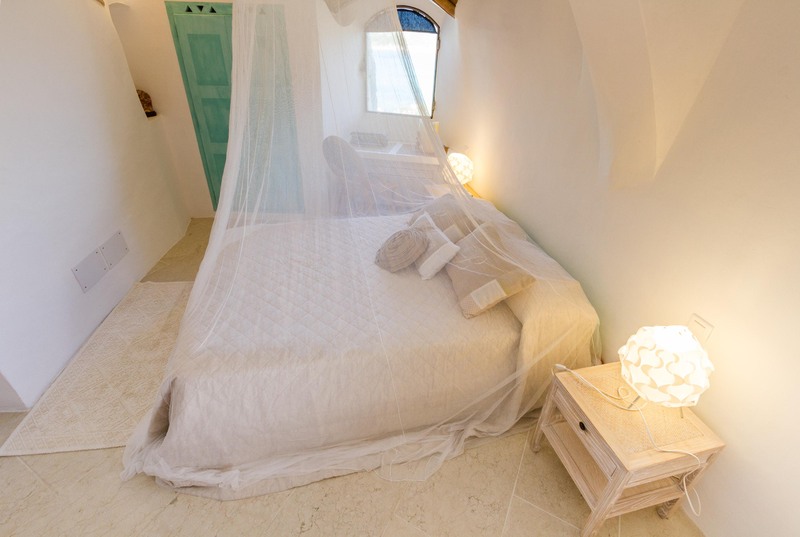 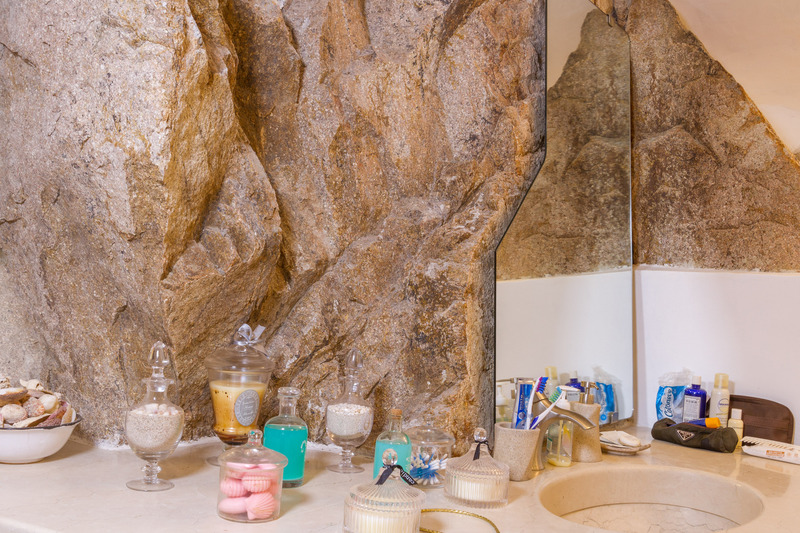 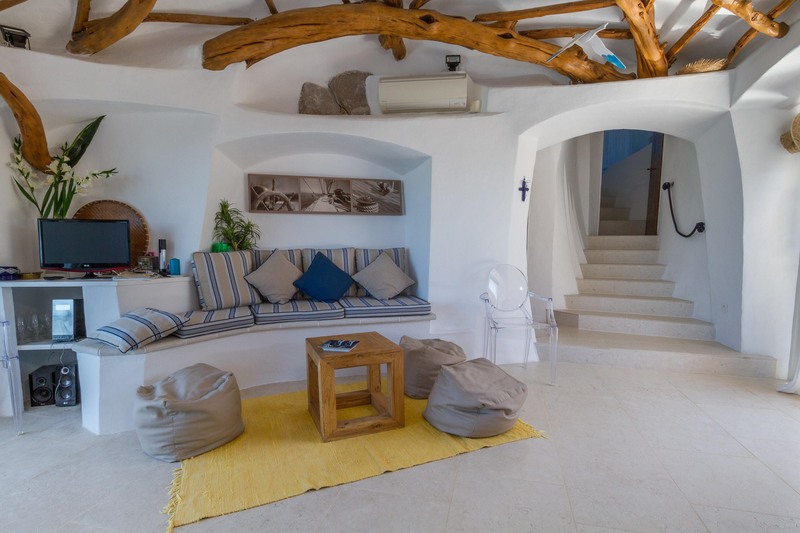 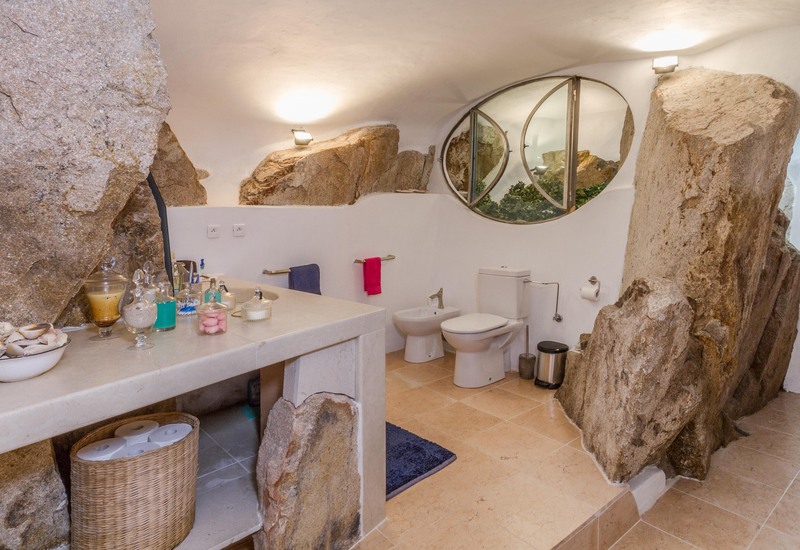 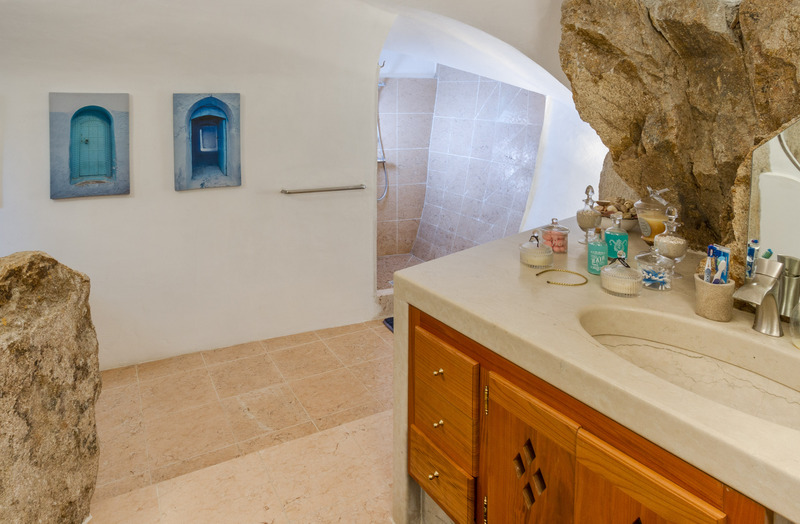 Although completely whitewashed, inside the villa you will have the feeling of being in a cavern because of the use of exposed rock walls and the small changes in levels between the different rooms. 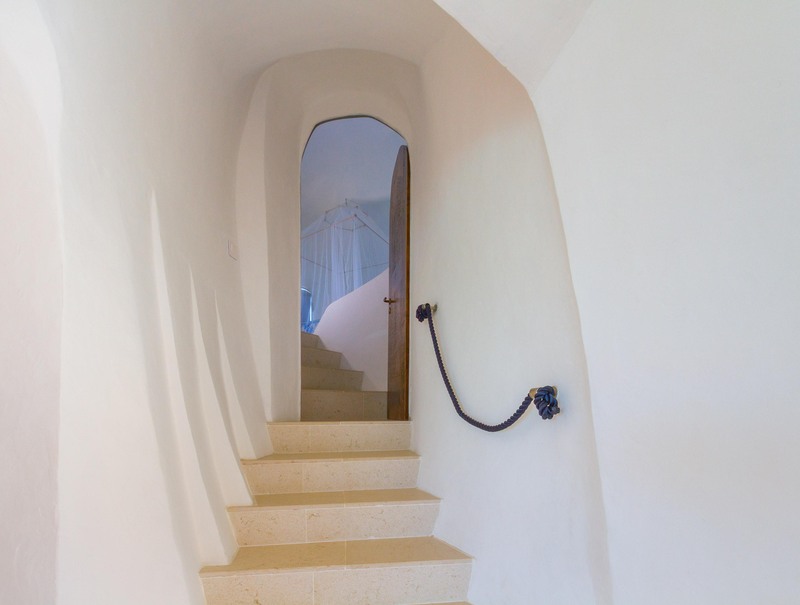 Villa Melissa can be merged with the neighboring house, they are both independent but comunicating. 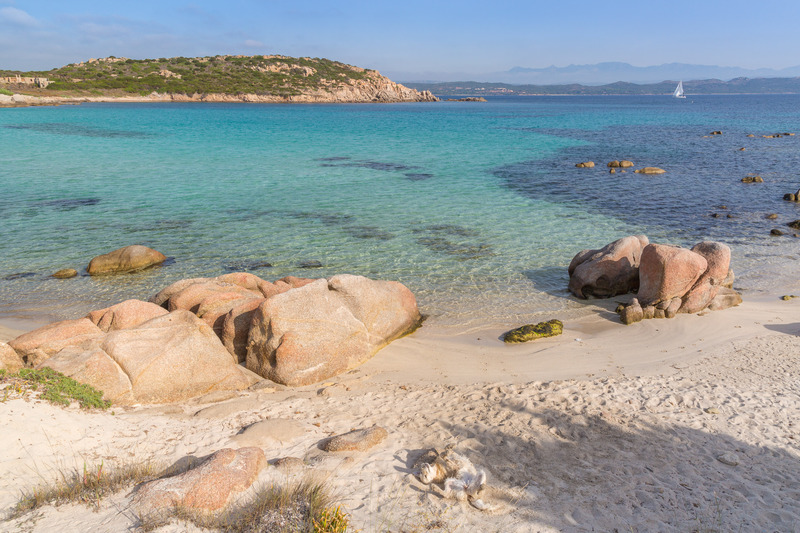 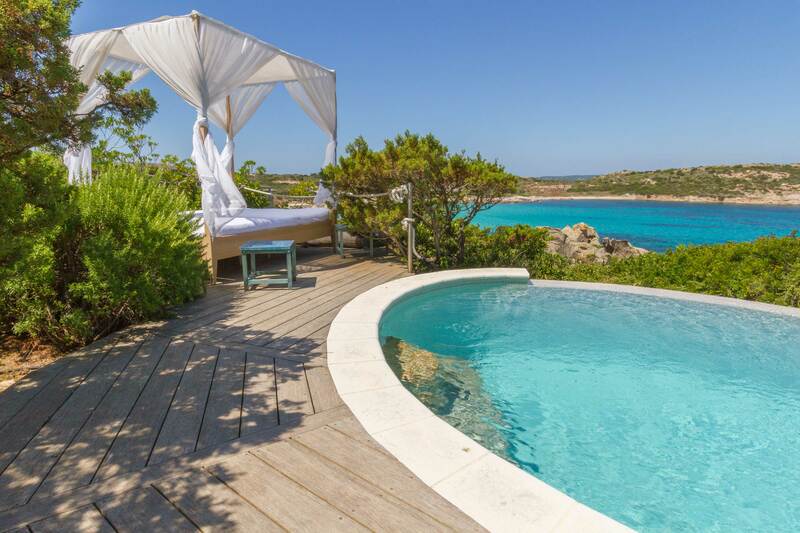 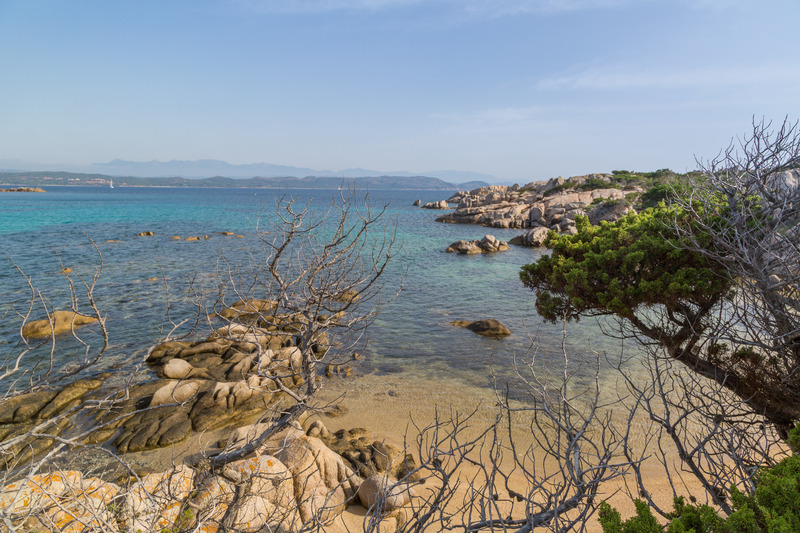 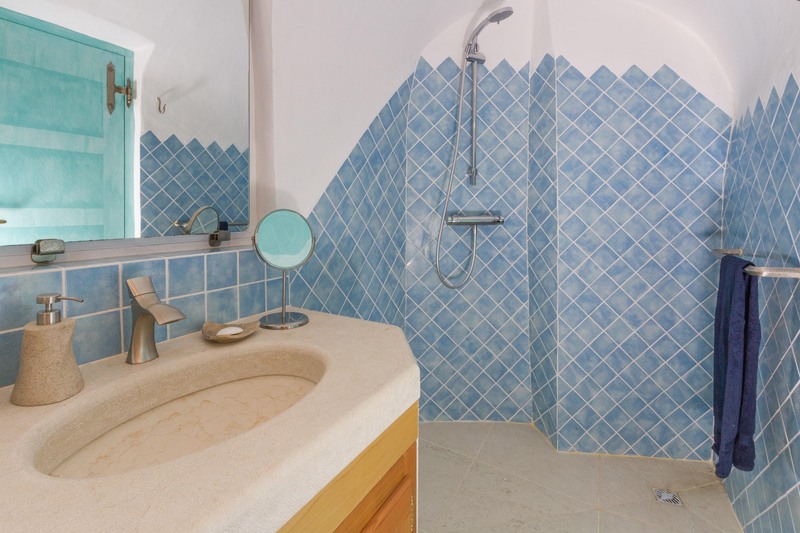 It has a swimming pool and a private path to the sea on the stunning Grecò Bay.